Create Thriving & Engaged Employees! Give your employees the best possible tools, to thrive. Workplace stress is often unavoidable and sometimes even desirable. But poorly handled stress at work, or in one’s personal life, is costing your business profits and your personnel their health. It’s the # 1 workplace wellbeing challenge in the Netherlands. Together with your HR / management team, we will review the challenges you want to address, in creating a thriving workplace for your employees. The next step is to determine a baseline measurement of your employees’ wellbeing and engagement, using the KVC app. There is now a benchmark of over 1600 respondents, with which to compare your employees’ results. You will have an organizational dashboard, which shows the anonymous results and can be filtered (as long as anonymity can be maintained) on age, gender, function etc. Employees benefit also, as they gain personal insights, by monitoring their progress with their personal dashboard. Once we have the data results from the KVC app, an interactive learning program can be designed and implemented, to ensure sustainable wellbeing results at all levels withing your organization. Based upon the principals of Positive Psychology, among other disciplines, participants will learn the importance of achieving greater self-awareness. This in turn leads to increased resiliency, emotional self-management/agility and engagement which will be continuously monitored with the KVC app. Please contact me for more information. Together we’ll discuss what the best possible options are for your business. Skogsfloating sessions bring participants together, to create stronger, more open, relationships. Whether it is for full day or half day sessions, or as an energizer as part your training program, it’s the ultimate combination of enjoyment and learning: be nurtured in nature and become inspired. 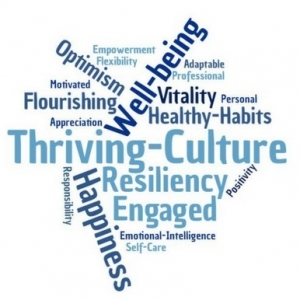 Give your employees the gift of resiliency!